Hi friends! So, last week I took a little podcast break, but today we are back! Since it’s Monday I have an interview for you and it’s a doozy, in a good way, of course. 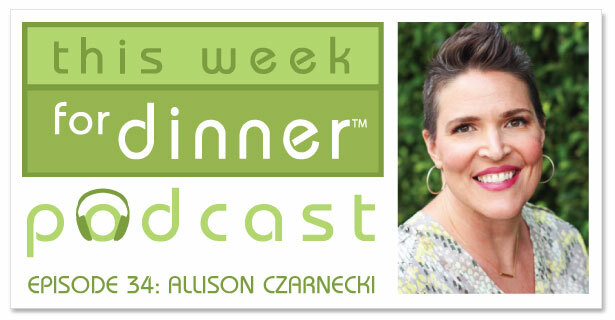 My colleague, business partner and friend Allison Czarnecki from the lifestyle blog Petit Elefant joins me to discuss several great recipes and kitchen tips. Allison started her blog many moons ago and writes about style, family, home, travel and, of course, FOOD. Allison, our friend Marie (who was on the podcast previously) and I started a business together in 2009 and are pretty much bonded for life. On today’s episode we talk a lot about food but Allison also gets me in a silly mood, which just plain means trouble. Thanks for that, Allison. Vetebröd, the cardamom bread I talk about on the show. Click here for the bulle (bun) version and a picture of my Grandma. Soooooo much laughing!! Love it!